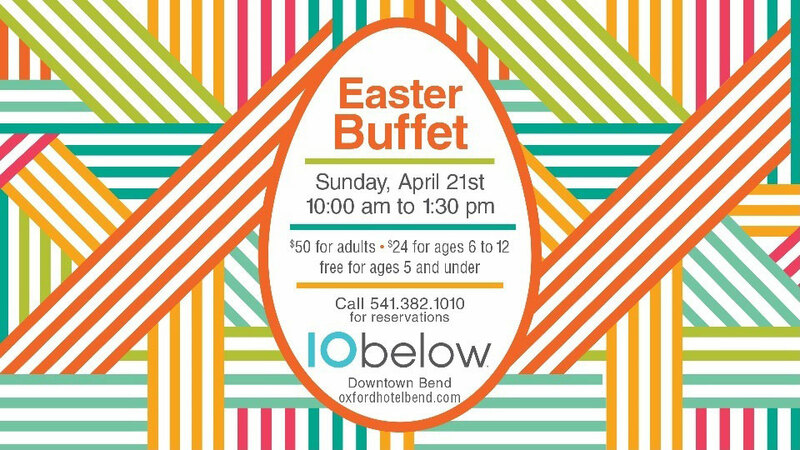 Join us for a delightful brunch buffet on Easter Sunday, offered from 10:00 a.m. to 1:30 p.m. on April 21. While dining at 10below, enjoy complimentary valet parking! Our special menu includes breakfast favorites, baked goods, fresh salads, seafood, and much more. View the complete menu: https://www.oxfordhotelbend.com/the-kitchen.htm. Cost: $50 for adults, $24 for ages 6 to 12, free for ages 5 and under. Call 541.382.1010 for reservations today!